You can buy single-wall pipe online here at PlumbersStock. When you need HVAC pipe, there is no better place to buy it. We carry all kinds of stove pipe from the best in the business, with brands like M&G DuraVent. 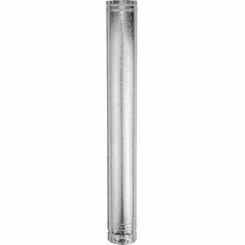 Find out for yourself why so many choose us for single-wall stove pipe. We have adjustable and fixed pipe options to ensure you get what you need. 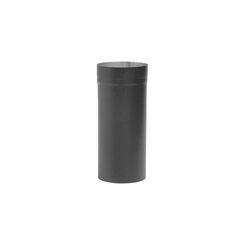 Shop and save on wholesale single-wall pipe by purchasing from our inventory and find additional savings by shipping in bulk. What Is Single-Wall Stove Pipe? 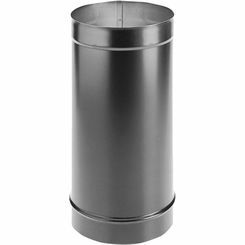 To finish the construction of your freestanding wood-burning stove, you need some kind of stove piping to connect your stove to a chimney. 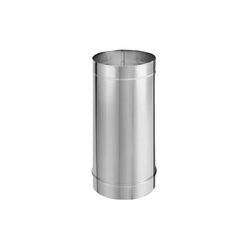 The use of stove pipe allows you to safely transport those noxious and toxic gases away from your home, up the roof and out to a chimney. 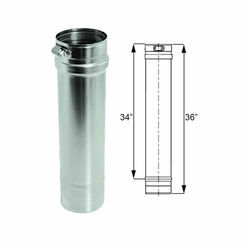 Single-wall stove pipe is one option to create an air exhaust system for your stove. 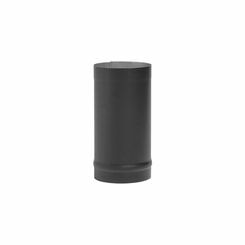 Single-wall stove pipe is used when you have a minimum clearance of 18 inches to combustible materials. This type of stove piping is more commonly seen in larger homes with larger spaces where the stove is not close to anything combustible. 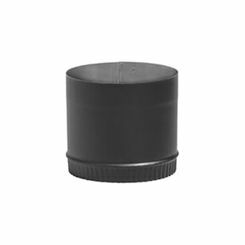 This type of piping can be constructed from 22-gauge black, galvanized, or stainless steel, although black is the most common of the three. 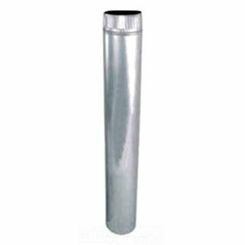 Single-Wall pipe also has the option of coming in a telescopic size, allowing the user to adjust the pipe to the desired height between the stove and the ceiling. Small telescoping pipes often adjust from 18-30 inches, while larger ones go from 38-70 inches. Since 1932, M&G DuraVent has been offering new and innovative products that make up a large portion of today’s chimney market. 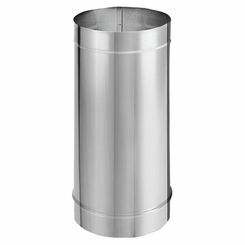 One of the premier companies of the venting industry, DuraVent has garnered a reputation for being safe, innovative, and releasing top-quality chimney products. Among their many product lines you’ll find DuraTech (Double-Wall all-fuel class A chimney), DuraPlus (Triple-Wall all-fuel chimney with double layers of insulation), and DuraBlack (Single-Wall pipe). 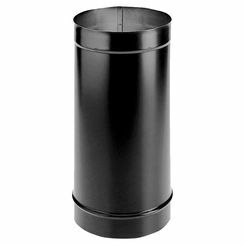 Here at PlumbersStock, we are proud to offer you a reliable name like M&G DuraVent for our stove pipe products. When you shop with us, you can have peace of mind knowing you’re purchasing the best products from the best brands. If you’re looking to finish the installation of your freestanding stove, you’ll need durable and reliable stove pipe to get the job done. 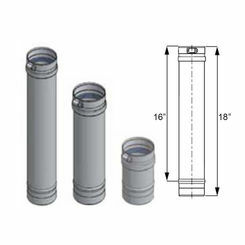 Our single-wall pipe is the most cost-effective solution and offers users many features, including telescopic sizes. 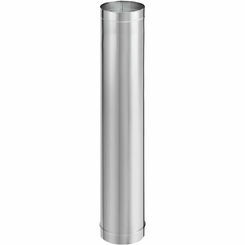 We carry many different sizes of single-wall pipe to accommodate various models of stoves. If you need help finding a size, or if you have some questions about your freestanding stove, contact our customer service representatives through chat, email, or phone and let us answer all your questions. Why shop anywhere other else when you can shop with the plumbing and HVAC experts at PlumbersStock.com.